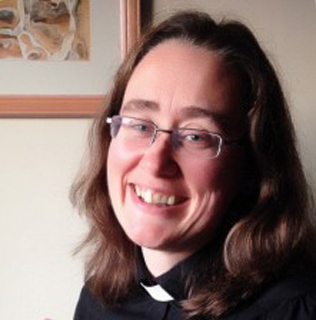 I was born and brought up in Cullercoats and after completing a theology degree at Durham University, I worked with children and young people as a lay worker in Ponteland. I then spent some time working in a retreat house in the middle of the Yorkshire Dales before completing ministerial training. My first appointment was in the East Durham Circuit where I served for 6 years before moving up here to the Lindisfarne circuit. I am married, have a daughter and a dog and in our free time we enjoy walking and relaxing together. I also like crafts, music, Formula 1 and building IKEA furniture! Born and brought up in Birmingham, I seem to have lived, been educated, and worked in areas where the smell of chocolate, from the Cadbury factory, filled the air. I worked in a Special School which is now predominantly for children with Autism until 2006. Leaving education, I travelled north to Crewe in Cheshire to work as their full-time Pastoral Lay Worker. My Ministerial training as a Deacon was undertaken part-time at Queens, Birmingham alongside my Lay Worker role. The Lindisfarne Circuit is my first appointment. I enjoy walking, the cinema, art galleries and getting together with friends. I’m not very keen or good at baking, but I enjoy creating different types of curries because no one knows if there was ever a recipe involved.